INSPIRE. CHANGE A LIFE. REPEAT. 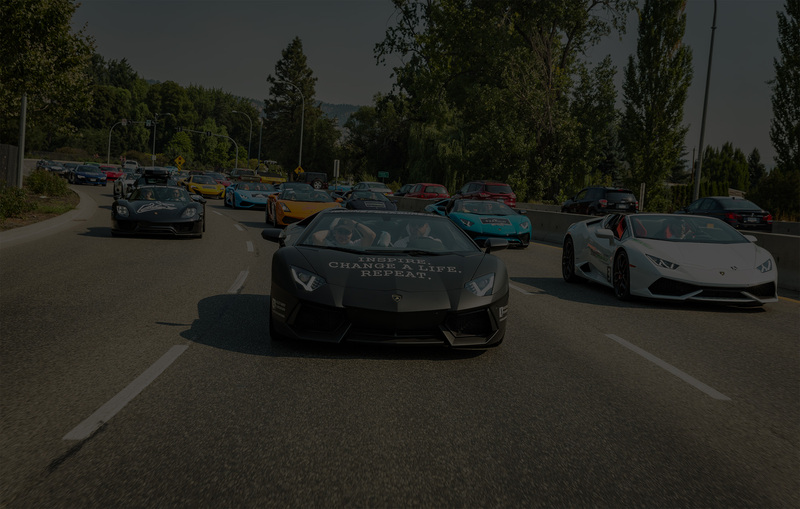 The Okanagan Dream Rally is one of Kelowna’s most celebrated children’s charity events consisting of over 200 exotic, sports, and luxury cars. The children involved in the rally are our “Co-pilots”. While an application process is available for Co-pilot selection, many of our past recipients have been hand-picked by the non-profit organizations we support. As the date of the Rally approaches, Co-pilots and Drivers are thoughtfully paired up to enjoy this day together. With the Okanagan Dream Rally, we hope to provide special children and their families with an incredibly fun-filled experience of being in the co-pilot seat of a dream car for a day. In addition, providing opportunities for our community, public figures, and businesses to support a good cause and make a difference locally in their community. Our mission with the Okanagan Dream Rally is simple. We want to put a smile on the face of a child in need and provide them with a day that they will never forget. With the help of incredible drivers, sponsors, and those donating towards this event, we are able to raise funds for causes that have a profound impact in our community. Participating children of the Okanagan Dream Rally will have their very own high-end rally car and driver for a day. 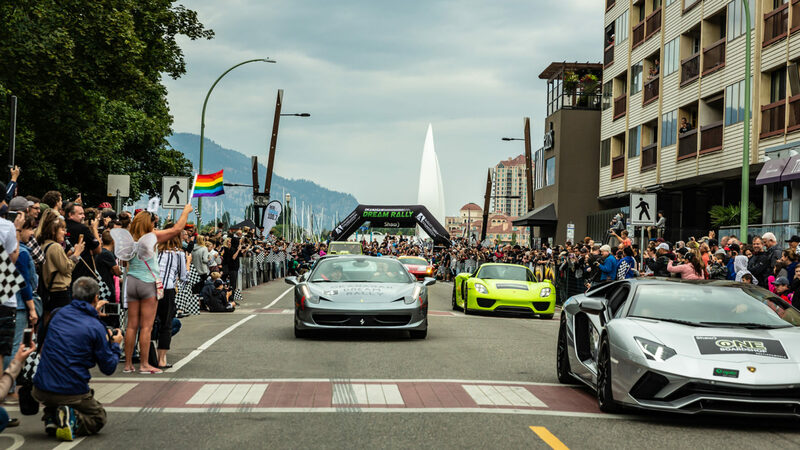 The community and its spectators will participate in the street excitement while the most incredible supercars and sports cars from throughout Western Canada start their engines in downtown Kelowna and circuit through the beautiful parts of the Okanagan Valley including Peachland and Penticton for an experience of a lifetime. The Okanagan Dream Rally will touch many lives and hearts by giving the special attention and care to families in need on this fun-filled day. Join Us on the Road to Half a Million! 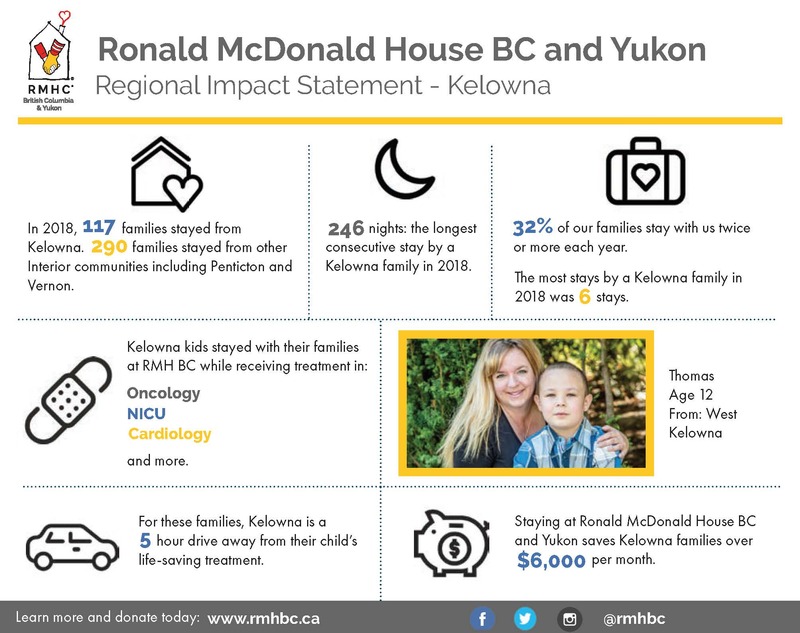 Over the course of the next three years (2018-2020) we are committed to helping Ronald McDonald House BC & Yukon raise $500,000 to help families staying within the organization’s facilities receive the care they need. In 2018 alone, over 30% of the families staying at the facility located in Vancouver were from the Okanagan Valley. This really struck home with us and was a motivating factor in our decision to make this commitment. The support at the 2018 Dream Rally blew us away and we were able to raise $425,000, getting us close to our 3 year goal in 2018 alone! Learn more about why we chose this incredible organization as our charity of choice over the course of the next 3 years. Check out our Okanagan Dream Rally photo galleries on our Facebook page! Click below to choose which gallery to view. We are currently still working on 2019 details and as such our schedule is not complete. Subscribe to event updates or get in touch with us to keep up to date with news! The Okanagan Dream Rally is open to the public, but we have limited spots available for drivers and vehicles. This event is free to the public with all proceeds from driver registrations, sponsors, and donations going towards charities and organizations within our community. The rally departs downtown Kelowna, BC with the start line and as well as the central meeting and speech areas being located near Kerry Park. The map and contact details are listed within the contact information. You will also receive a confirmation email with location map. Contact us for further questions! We will be partnering with select hotels for your convenience. For corporate accommodation rate, please contact us directly.